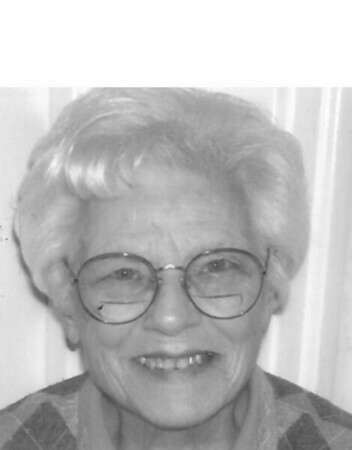 Anne L. (Failla) Mayer, of New Britain, wife of the late William J. Mayer, passed away on Saturday, April 6, 2019, at the Autumn Lake Health Care, at the age of 102. Anne was surrounded by her loving family in her final moments. Anne was born in Lawrence, Mass., on Nov. 23, 1916, to the late Salvatore and Salvatrice (Amato) Failla. A loving and devoted mother, grandmother and great-grandmother, she leaves to mourn her daughter, Marcia Mazur and her husband Babe of New Britain; three grandchildren, Anthony Mazur and Marion of Harwinton, Michele Mazur and Gus of Southington and Wendy Ciaffaglione and her husband Chad of Kensington; and great-grandson Michael Mazur and her pride and joy Tyler Ciaffaglione; as well as many nieces and nephews. Her family would like to thank Autumn Lake for all the loving care given to her by the nurses and CNA’s, especially Jo Jo, on section 3, and a very special thanks to her caregiver, Alicia Tellier, who took care of her prior to her stay at Autumn Lake. Beside her husband William, she was predeceased by her sisters, Joan Dolinsky and Rosemarie Marcotte. Posted in New Britain Herald, on Sunday, 7 April 2019 21:03. Updated: Sunday, 7 April 2019 21:05.